Federal Signal's SelecTone® Model 300 is a lightweight and compact, solid-state amplified speaker designed to amplify a pre-selected tone over existing ambient noises. 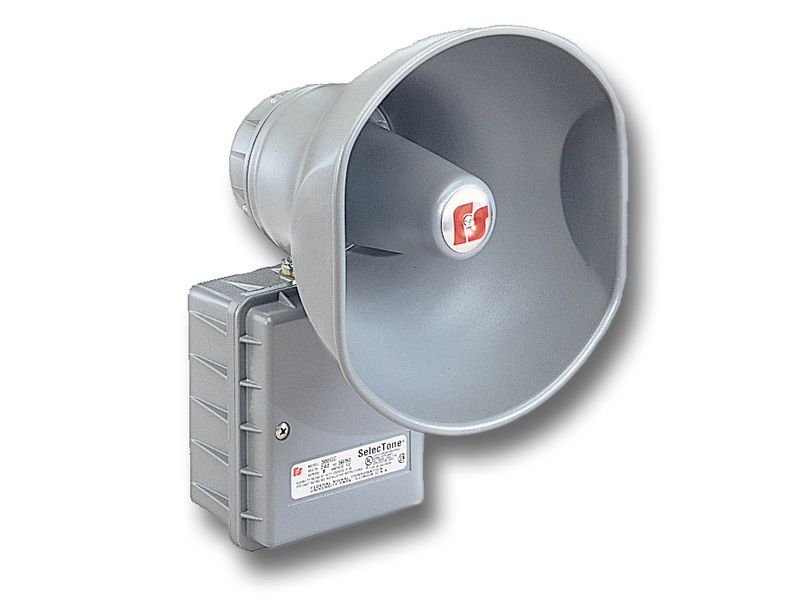 The speaker cone and projector are made of spun aluminum. The internal amplifier circuitry and tone module are contained in a housing of die-cast aluminum. Dust- and moisture-proof gasketing provides protection from the elements. All external components are sealed with powder-coat paint. Model 300 speaker/amplifiers are ideally suited for full output tone signaling where voice paging is not a requirement. Typical applications include emergency warning, start and dismissal, general alarm, smelters and cranes.